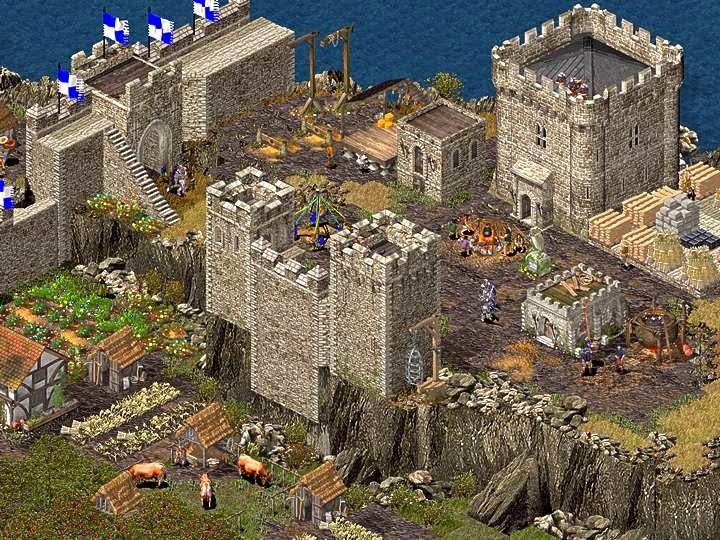 Virtual Corp - Cara Memodifikasi Tampilan Stronghold Crusader menjadi 3D - Bosan dengan tampilan game stronghold crusader yang lama? 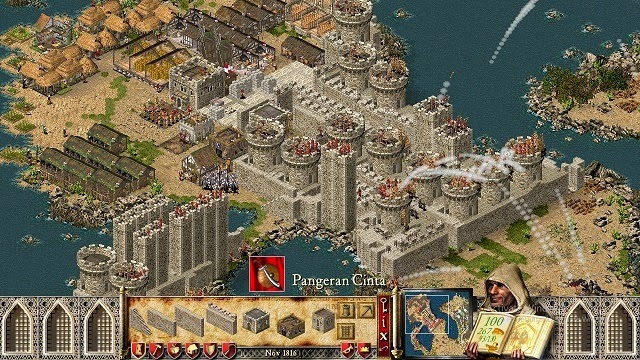 Kini Anda bisa memodifikasi tampilan Stronghold Crusader menjadi 3D. Modifikasi tampilan stronghold crusader 3D ini saya dapatkan dari forum Stronghold.heaven.com. Dengan melakukan sedikit modifikasi terhadap game Stronghold Crusader yang lama tentu membuat permainan game ini menjadi sangat seru dan menarik. Baca Juga Download All Level Stronghold Crusader Warchest. When it was first released in 2002 Stronghold Crusader put a unique twist on the gameplay of the original Stronghold by focussing on skirmish gameplay and replayability above all else. With a new setting, additional content and a greater focus on real-time strategy over the sim gameplay elements of the original Stronghold, Crusader quickly became the fan-favourite. Since launch Crusader has sold over two million copies, with over 3000 user-made maps still in circulation on one Stronghold fansite and fans still playing the game today. Recently Stronghold Crusader HD gave the game a new lease of life, offered as a free update for existing owners of the game and made available for purchase on GOG and Steam. Crusader 2 has been on the mind of Lead Designer Simon Bradbury since the release of Stronghold Crusader in 2002. It is only now, having become a fully independent studio, that Firefly feel comfortable delivering a worthy sequel to their fans’ favourite game. As a developer their mission is to recapture the addictive, intense gameplay that made the original Crusader a classic. Players can also expect new visuals, a reworked battle interface, new AI characters, environmental threats, new units and real-time physics. Stronghold Crusader merupakan sequel game besutan firefly ini merupakan game yang seru untuk dimainkan. Alur cerita game ini menceritakan tentang abad pertengahan yaitu ketika perang salib pada. Crusader sendiri memiliki arti para pasukan perang salib. Game ini memiliki level yang menantang untuk diselesaikan. Game ini terdiri dari Stronghold Crusader and Stronghold Crusader Extreme. Terdiri dari 100 misi yang sangat seru dan menyenangkan. Yaitu 80 misi Stronghold Warchest dan 20 misi Stronghold Extreme. Historical mision terdiri dari Battles such as Nicea, Heraclea, siege of Antioch, Krak des Chevaliers and the Siege of Jerusalem all feature, as do the Crusader Trails from the Stronghold Warchest and Stronghold Crusader Extreme. Selanjutnya mainkan game stronghold crusader anda. Jika berhasil maka tampilan game stronghold crusader akan berubah menjadi 3D.